London: Indian-origin homes are at the centre of more than 140 million pounds (Dh679 million) worth of gold jewellery stolen in the UK over the past five years, a freedom of information request revealed on Saturday. So-called "Asian gold", bought as wedding gifts and known to be stored in homes of South Asian origin families as it is passed down generations, led to nearly 28,000 thefts since 2013, the BBC investigation found. Out of 23 of 45 police forces from across Britain that provided figures on these thefts, Greater London had the highest value stolen – 115.6 million pounds, followed by 9.6 million pounds in Greater Manchester. 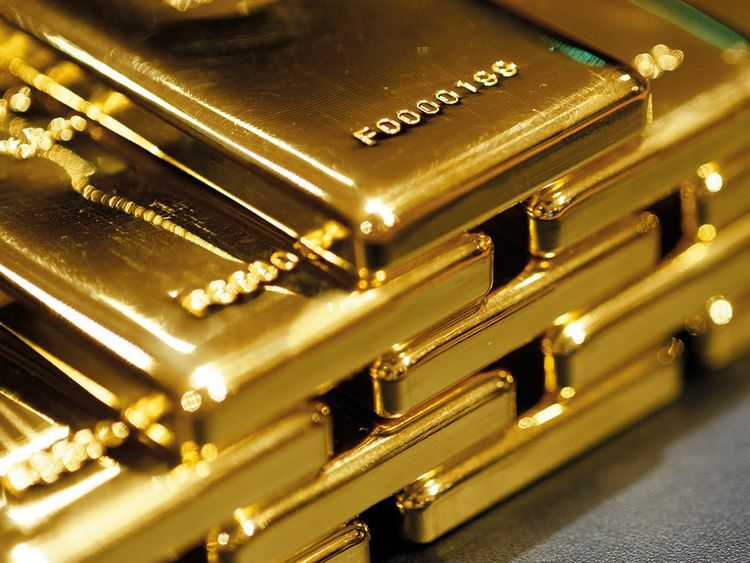 Sanjay Kumar, who specialises in selling Asian gold in the dominantly Indian-origin suburb of Southall in west London said he recognised the cultural significance behind gold jewellery and always advised his customers to think carefully about how they store their gold and to insure it. "People are told by their parents and grandparents 'you must buy gold – it's an investment, it's lucky. It's something that we as Asians do, so people are following the tradition and the culture," he said. Police forces investigating cases of theft said that in some of the burglaries victims owned large amounts of jewellery, but that was not always the case. In Cheshire, police set up a dedicated team to work with members of the community after a series of Asian gold-related burglaries. Aaron Duggan, head of crime at Cheshire Police, said that one of the challenges his officers face is that gold can be disposed of easily. "At second-hand outlets, certainly around Asian jewellery, questions should be asked - 'who is this person in front of me selling this gold?' The irony is it's often harder in this country to sell scrap metal than it is second-hand jewellery," he said. Scotland Yard regularly issues special advice around Diwali, Navratri and other major Indian festivals for the British Asian community to be extra vigilant. "The festival period tends to see a spike in this type of crime largely due to more jewellery being worn as communities travel across London to different venues – whether temples or to other people's homes," the Metropolitan Police said in a statement. During the course of 2017-18, the Met Police recorded 3,300 such high-value thefts, worth around 21.2 million pounds. Kent Police with 89 thefts worth 1.6 million pounds and Greater Manchester Police with 238 thefts worth 1.5 million pounds were among the other key hotspots. "Gold will continue to be highly desired by criminals due to the speed and anonymity with which it can be exchanged for large sums of cash," Metropolitan Police Detective Constable Lisa Keeley said during last year's Diwali appeal. "These pieces of gold and jewellery are not just valuable possessions, they are also of great sentimental value, and if stolen, would have a huge impact on owners. Our proactive measures to tackle these crimes has seen reductions in offences, however there is more to be done," she said. Operation Nugget is the Met Police's dedicated operation to tackle gold thieves, which seeks to drive down the number of such offences through a series of initiatives.